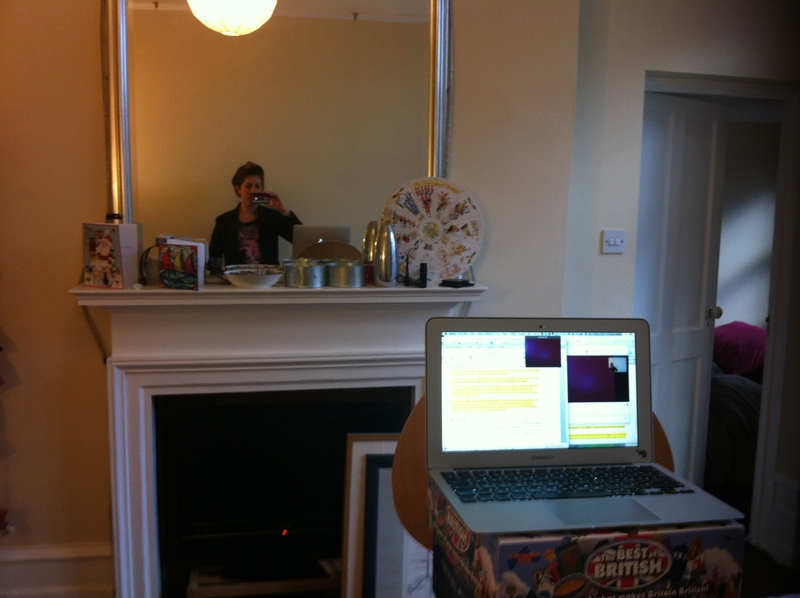 Filming the two.5 crowdfunding pitch video from two different continents. 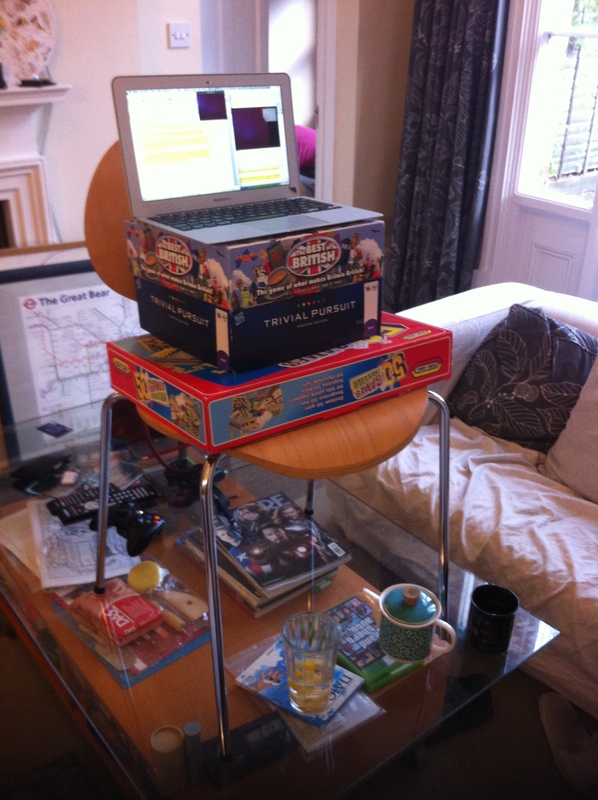 My laptop is balanced on top of a stack of boardgames, on top of a chair, on top of a glass coffee-table. I’m wearing lipstick, a pin-stripe jacket, and half a can of hairspray. Safely out of shot, i’m also wearing tartan PJs & slippers. The two large pictures that normally hang on the wall behind me are stacked precariously against the sofa. Despite our best efforts, filming has overrun and we’re losing natural light in my sitting room in London. Samantha is instructing me through various different counter-acting methods until she’s happy with the colour and the shade on the screen and we can film the next paragraph in the script of our crowdfunding video.